Some people get months of vacation time to enjoy lengthy and luxurious trips around the world — and others have to squeeze in all the relaxation they can in one night. 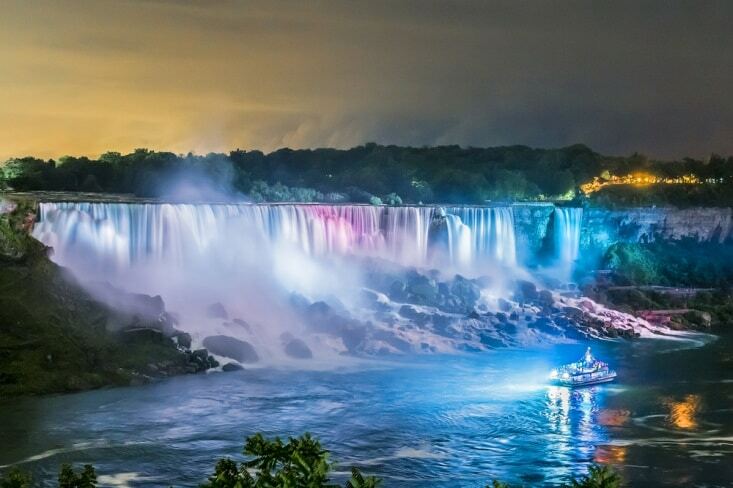 If you’re in the latter category, Niagara Falls is one of the best locations available to spend your vacation. With centrally-located attractions and plenty of thrills for a small party, a one-day vacation feels almost as good as a whole month when you spend it in Niagara. Once you are sure your eating and sleeping arrangements are taken care of, you can spend the rest of the day truly enjoying yourselves in the delights of Niagara Falls. 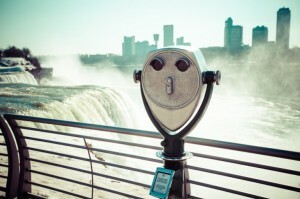 A trip to Niagara Falls just isn’t complete without a thorough look at the falls themselves. 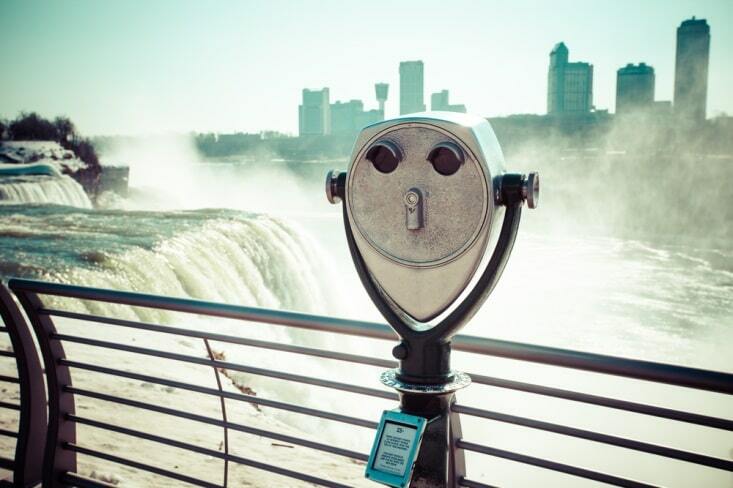 There are plenty of lookouts to see the falls from a distance: Head to the top of Skylon Tower to get a birds-eye view of the entire Niagara region, or take a stroll in Victoria Park to see Horseshoe Falls in its best light. You can even get some up-close views of the falls by signing up for exciting tours. The famous Maid of the Mist takes tourists right up to the base of the falls to feel the mist and hear the roaring water. Additionally, you can go on a journey behind the falls to see what the water looks like from behind. If you have a couple hours to spare, Niagara’s wine region is blossoming into one of the world’s best places to sample top wines. Most vineyards offer full tours, taking visitors through the fields and cellars to get a full experience of the wine-making process. You’ll be treated to several award-winning wines, and you can even stop by for a meal to receive a perfect pairing of wine and food. This tiny town just outside Niagara Falls proper is packed with charm. The houses and shops circling the scenic lake look like they were frozen in time more than a century ago. Take a carriage ride, see a theater production, or simply walk around the quaint parks; Niagara-on-the-Lake is calm and unhurried, so you can unwind between more pressing scheduled attractions. To fill in time between activities, you can head toward any of Niagara’s fantastic shopping centers to get amazing deals on brand-name designer apparel. Canada One Outlets feature as many as 40 recognizable brands, including Coach, Tommy Hilfiger, and more, with perfect prices for any budget. Alternatively, the Outlet Collection at Niagara contains nearly 100 storefronts of your favorite brands, and it is located conveniently next to Niagara-on-the-Lake.